Khodorkovsky’s Otkrytaya Rossia NGO put on "undesirable organizations" list | Russian Legal Information Agency (RAPSI). 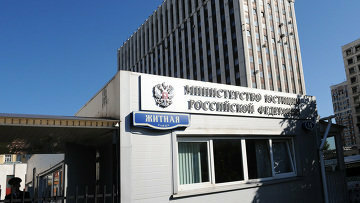 MOSCOW, April 27 (RAPSI) - The Justice Ministry has added several foreign NGOs including Otkrytaya Rossia, founded by former Russian tycoon Mikhail Khodorkovsky, to the list of "undesirable organizations", according to the statement published on the ministry’s website on Thursday. The decision was made upon the request of Russia’s Prosecutor General’s Office. On Wednesday, the Prosecutor General’s Office recognized Otkrytaya Rossia NGO, Open Russia Civic Movement based in the United Kingdom and the Institute of Modern Russia (IMR) located in the U.S., as “undesirable organizations”. According to prosecutors, these organizations implement special programs and projects aimed to discredit election results in Russia and recognize them as illegitimate. The Prosecutor General’s Office believes that “undesirable” foreign organizations create conditions for protest rallies and destabilization of political climate in Russia. The law under which foreign NGOs can be put on "undesirable organizations" list if they are believed to be a threat to the constitution, defense or security came into effect on June 3, 2015. These organizations will be prohibited from working and from circulating information materials in Russia, and their offices and branches will be closed. A decision to declare a foreign or international NGO an undesirable organization can be made or reversed by the Prosecutor General or his deputies, based on consultations with the Foreign Ministry. The Justice Ministry will compile and publish a list of non-grata organizations. On March 28, President Vladimir Putin signed a law prohibiting "undesirable" NGOs from creating Russian legal entities. Currently, the Open Society Foundation (Soros Foundation), the National Endowment for Democracy (NED), the International Republican Institute (IRI), the National Democratic Institute for International Affairs (NDI), the MacArthur Foundation, Freedom House and others are among blacklisted organizations. 14:48 27/04/2017 The Justice Ministry has added several foreign NGOs including Otkrytaya Rossia, founded by former Russian tycoon Mikhail Khodorkovsky, to the list of "undesirable organizations".